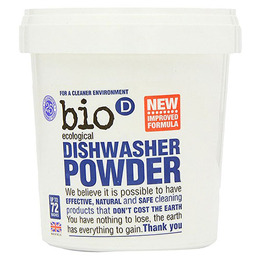 This dishwashing powder cuts through grease and limescale easily, with all the benefits of the Bio-D range - so you know it doesn’t cost the earth. Hypoallergenic and suitable for sensitive skin. 5-15%: Oxygen-based bleaching agents, Polycarboxylates. Below 5%: Phosphonates, Nonionic Surfactants. 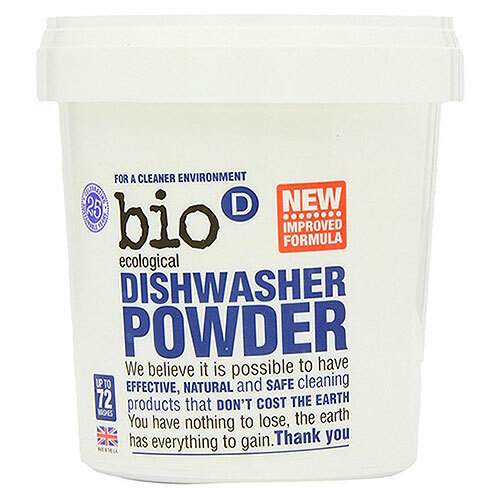 Below are reviews of Bio D Dishwasher Powder - 720g by bodykind customers. If you have tried this product we'd love to hear what you think so please leave a review. Great value, especially if you have soft water and a septic tank, because all-in-one tablets make dish washing far too expensive. The dosage delivered is excessive and cannot be cut down. This means each wash is too concentrated and releases excess amounts of harmful chemicals. Do the maths!! These tiny tubs deliver 72 decent washes, using only one little scoop of powder, along with a small amount of rinse aid and salt.